Do you have a prayer warrior in your life? My mother-in-law certainly qualifies. I know that she spends regular time in prayer, that she prays for specific people at specific times of the day, and that she has huge faith in the power of prayer. Paul once joked that if you ever want something to happen, all you have to do is ask Mom to pray about it! Sadly, I could not be described as a prayer warrior. I do certainly believe in the power of prayer, but I have a hard time committing to a set time to pray. And when I do settle in to pray for a while, it's not long before my mind wanders off in all kinds of unproductive directions. I end up feeling frustrated with myself and feeling like I'm not very good at praying, which seems like it should be the most simple and basic of things to do. 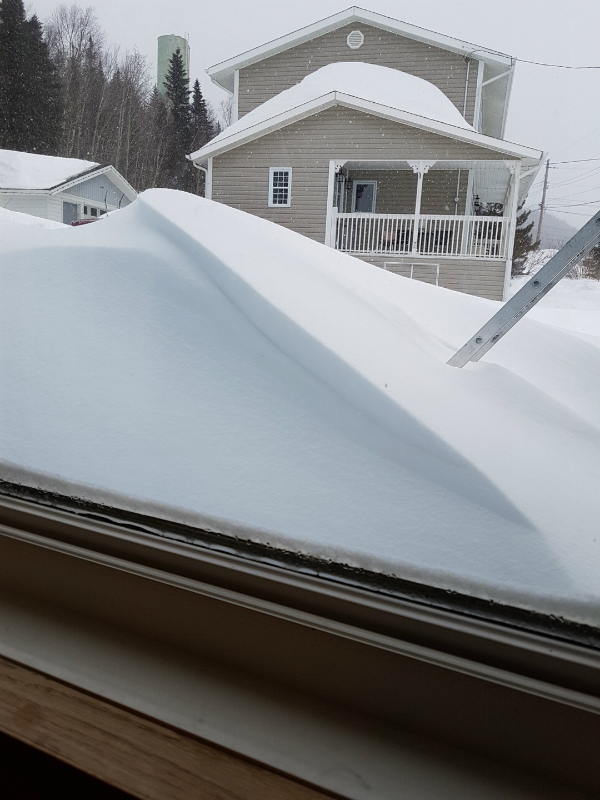 This happened three times, and immediately the sheet was taken back to heaven." Did you see the moment Peter got distracted in the middle of his prayer time? God knows us, right? He knows everything about us, including Peter's, and my, tendency to get distracted while praying. But He doesn't condemn us for it! While I get frustrated with myself and sometimes feel like I'm somehow less successful as a Christian because I can't stay focused on prayer, God actually used Peter's distraction to serve His purpose. Peter was hungry and thinking about food, so God showed him a vision of a blanket full of animals Peter would never dream of eating and told him to go kill something and eat it. In parenting and childcare, this sort of thing would be considered a 'teachable moment'...using some everyday thing that's happening to teach the child an important lesson. In this case, God made use of Peter's thoughts about food to teach him an important lesson about faith in Jesus. The vision God gave Peter doesn't actually have anything to do with food, that was just the everyday thing God used to teach Peter. He was preparing Peter to go to the home of a Gentile man and teach him about Jesus, even though Jews normally wouldn't associate with Gentiles at all. God used the analogy of 'unclean' food to teach Peter that no group of people would be considered 'unclean' anymore. Anyone would be welcome to come to Jesus, regardless of their race or background. Obviously this doesn't mean we shouldn't try to stay focused when we're praying, but it does mean that we can stop feeling bad when our minds wander. God knows it happens. 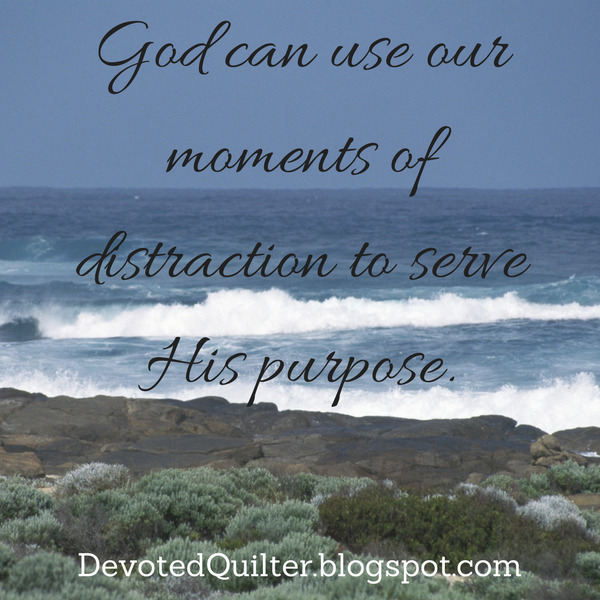 And maybe sometimes He'll even use those moments of distraction to serve His purpose. The plan is not to join these in regular rows, but instead they'll be scattered across the quilt with different sized spaces between the stars. I think it will be rather improv-like as I piece it together. I just hope it looks as good in reality as it does in my head! Since I don't have any idea how big this will end up, I may still make more stars as I go to add to the 100-some I have now. We'll see how it looks as I go. 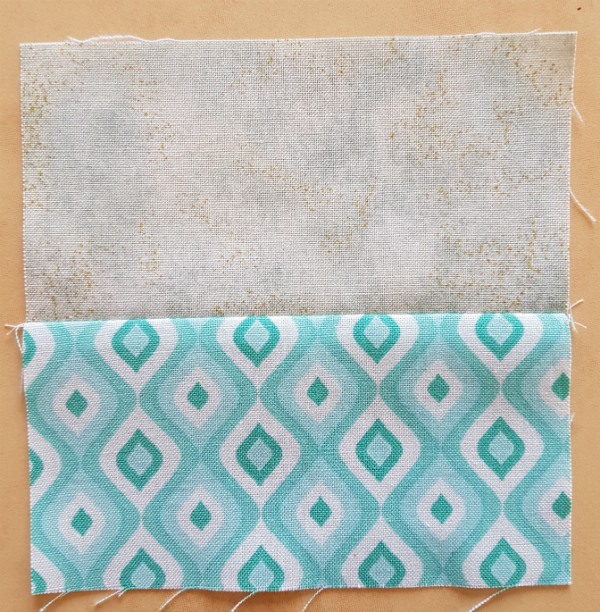 I had planned on using two or three different grey solids to join the stars, but then I saw this mottled grey in my stash and realized it would be perfect with the solid grey I had already started basting into diamonds. Unfortunately, I only have scraps of the mottled grey left, but I think I can get more soon. The solid grey is, I think, Kona Graphite. If not, then it's a Northcott solid that is almost identical to Graphite. Either way, it has become my favourite neutral. Everything seems to pop against that grey! Still here? Great! Let's go! I seem to have reached an age when my previously predictable monthly cycle has started to go a bit haywire. Specifically, I am now spotting almost every day, which is annoying as I'm sure you can imagine. It has, however, made me think a lot about one of the women in the Bible, known only as 'the bleeding woman'. Who touched me?” Jesus asked. Obviously, we don't know much about this woman; no name or family information or anything. We only know that she had been bleeding for 12 years and that no one could heal her. The law states, in Leviticus 15:19-23, that during her period a woman is unclean. Anything she lays or sits on is unclean. Anyone who touches anything she lays or sits on will be unclean. And anyone who touches her will be unclean. Then, in verses 25-27 it says that if a woman has any discharge of blood that continues beyond her regular period all the regular rules still apply until the bleeding stops for 7 consecutive days. For me, this spotting-almost-every-day thing is annoying. It's irritating. But that's about it. For her it would have been truly, horrendously awful. No one could touch her without becoming ceremonially unclean. For 12 years. Can you even imagine how lonely that must have made her? What would it be like to go even 1 month without a single hug, or pat on the back or even so much as a fist bump? No one could heal her, the Bible says. I wonder how many people she had been to for help. I wonder how much money she had spent trying new treatments and if she had given up hope. Now picture her in a crowd of people, looking at a man they say can heal any disease. She's not supposed to touch Him, but she has tried everything else and He is her last hope. So she reaches out her hand and touches his clothing, believing that even just that much contact will be enough to stop the bleeding. And it worked! Immediately she knew that the bleeding had stopped. But Jesus knew that power had left Him. He stopped and asked who touched Him. Imagine how scared she must have been. She wasn't supposed to touch Him. Obviously she tried to stay quiet and hoped He'd just shrug it off and move on, since Jesus had to insist that someone had touched Him, but eventually she had to come forward and tell her story in front of that whole crowd. Was there a sharp intake of breath from the crowd when she admitted that she, an unclean woman, had touched Him? Could she feel judgement from people who thought she had done wrong? We don't know, because the Bible doesn't say. What I love, though, is that it does tell us that there was no judgement from Jesus. Jesus didn't care about keeping up appearances. He didn't care about following rules that made it harder to actually help people. He healed people on the Sabbath, even after being told off by the religious leaders for doing work when they felt He shouldn't have. And when this unfortunate woman admitted to touching Him, He simply commended her for her faith and told her to go in peace. She could have let fear of condemnation and judgement hold her back. She could have stayed and just watched Him walk by. She could have continued on as she was, bound by her bleeding. But instead she reached out and touched the only One who could heal her. What about us? Are there things we're avoiding bringing to Jesus because we're afraid He'll condemn us? Our uncleanness is not a physical or ceremonial thing, but there can be times when we avoid God because we're ashamed of what we've said/thought/done. We can come to Him freely, though, certain that there will be no judgement or condemnation, only acceptance and forgiveness. "Therefore, there is now no condemnation for those who are in Christ Jesus, because through Christ Jesus the law of the Spirit who gives life has set you free from the law of sin and death" (Romans 8:1,2). 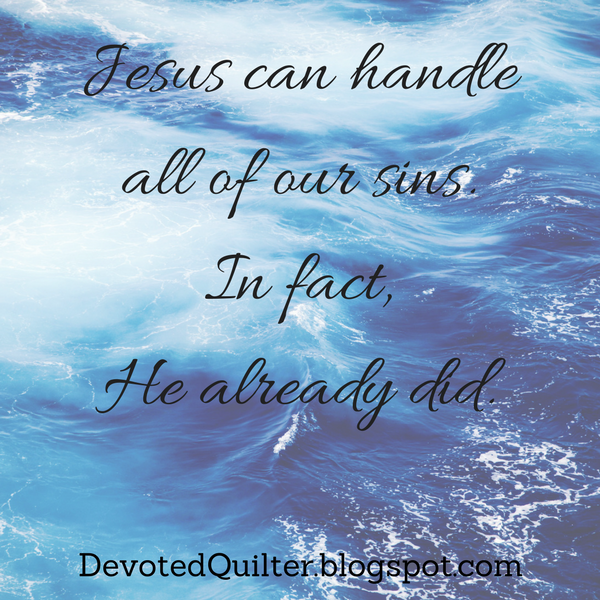 Jesus went to the cross to take all of our sins. All of them. Even the ones we don't want to talk about, or the ones we think He can't ever forgive us for. He can handle it all. In fact, He already has. We simply have to come to Him in faith and He will take away our uncleanness, giving us the same relief He gave the bleeding woman so long ago. 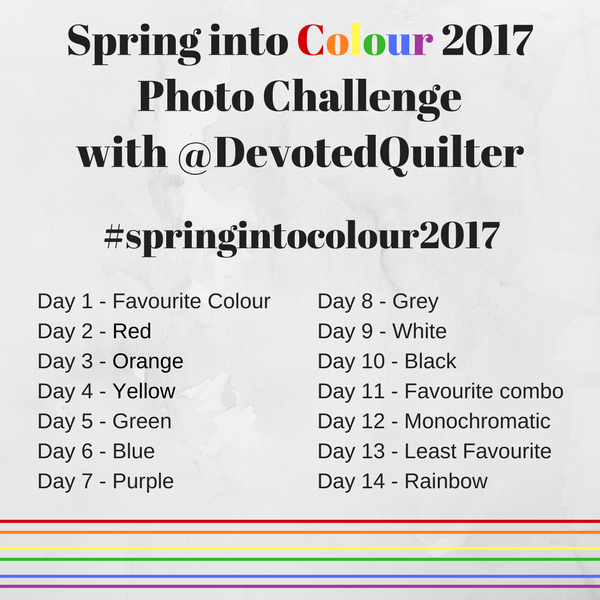 In search of more colour, I'm hosting the Spring Into Colour 2017 Instagram photo challenge. Starting on March 20 I'll post a colour related photo prompt each morning for you to use to create your picture for the day. We'll be using the hashtag #springintocolour2017. And I'm Canadian, so don't forget the 'u' in colour! Did I mention there are prizes?? Make Modern magazine (affliate link) is generously donating 3 6-month subscriptions to be chosen randomly from all photos posted and tagged with #springintocolour2017. To be eligible, your account must be set to public so I can see your posts. I'll randomly choose the three winners on April 4 and notify them through Instagram. I hope you'll join me in springing into colour! *This post contains an affiliate link, which means if you click on the link and then make a purchase I may receive a small commission. This does not affect the price you pay. I am constantly amazed at how often something new will occur to me as I read my Bible, even though I have read it all before. One recent example is when I read John 18:14, which says, "Caiaphas was the one who had advised the Jewish leaders that it would be good if one man died for the people." I know I've read that before, many times even, but nothing ever stood out to me about it. This time was different. Caiaphas was the high priest in Jerusalem when Jesus was brought for his 'trial'. This was no proper trial, of course, as it was happening in the middle of the night and with witnesses who were known to be lying. Even more disturbing is the fact that the Sanhedrin had obviously already decided what needed to be done and were simply making a show of following procedure. When it says "Caiaphas was the one who had advised..." it is referencing John 11:50-53, where Caiaphas is recorded as saying, "You do not realize that it is better for you that one man die for the people than that the whole nation perish.” He did not say this on his own, but as high priest that year he prophesied that Jesus would die for the Jewish nation, and not only for that nation but also for the scattered children of God, to bring them together and make them one. So from that day on they plotted to take his life." What I find interesting is that Caiaphas prophesied, meaning that what he said was a message directly from God, but he totally misunderstood the message he was given. While Caiaphas understood that Jesus had to die, he misunderstood why. In fact, Caiaphas took the message to mean exactly what he wanted it to mean...that Jesus would die and that would preserve the way of life that had Caiaphas in a position of authority and power. He was so close to getting God's plan, but yet so far away. The biggest realization I had was that Caiaphas didn't ignore God's reason for Jesus' death - he didn't ever see it! He was so fixated on the here-and-now, on his own agenda and what would benefit him most, that he never even thought about what the words he prophesied could mean in another context. Are we doing the same? Are we so focused on the here-and-now that we forget to look for the eternal implications of what is going on around us? 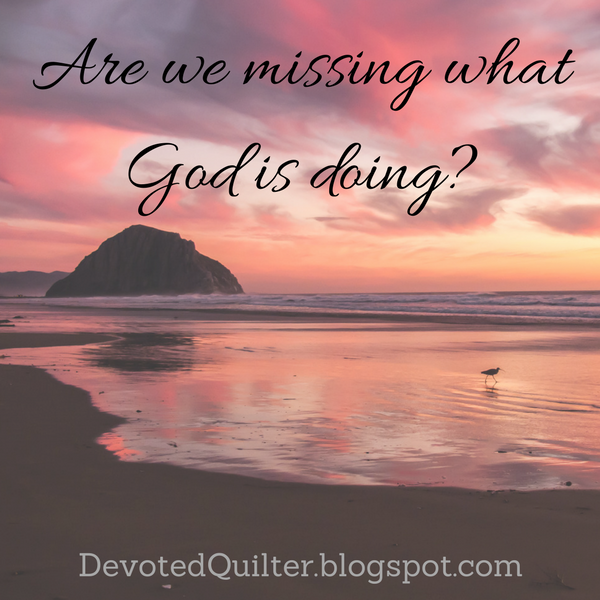 Are we looking so intently at what could benefit us most today that we don't notice the things God is doing that will benefit us and others for eternity? To be honest, I don't know what would have been different if Caiaphas had seen the eternal. Jesus still would have died, after all, since that was God's plan, but something certainly would have been different in Caiaphas' heart. How would that difference have affected the rest of his life? Unfortunately, we'll never know. The same is true for us. I believe that God's plans always happen, but it's possible for us to live our lives completely unaware of His work in our world. What do we miss out on by being oblivious? What could we gain by being aware? 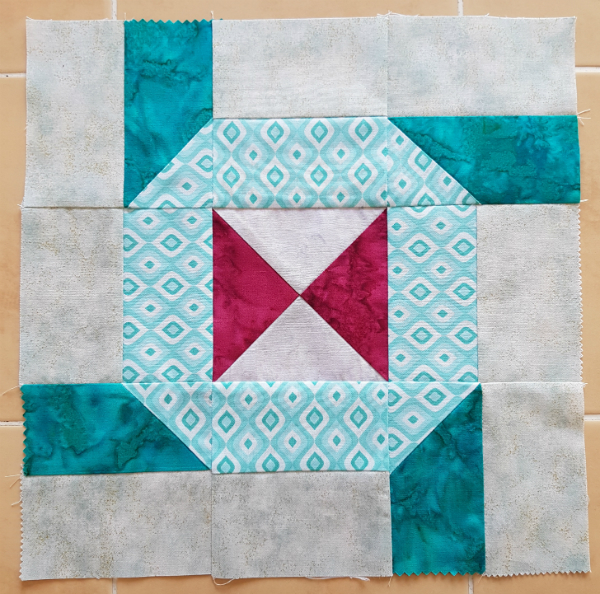 The 30 Quilt Designs Challenge is coming to an end and it has been a lot of fun to keep myself designing regularly and to see what everyone else has come up with. Thanks to Sandra (Musings of a Menopausal Melon) and Lisa (Sunlight in Winter Quilts) for hosting and to Melody (The Red Hen Shop) for sponsoring. If you want to check out all the designs, you can see them all here. There are some great designs there! I still have one design to go, but I think I'll manage to get it in before the March 15th deadline. You can see some of my designs from early in the challenge here and today I'm sharing some of the later ones. 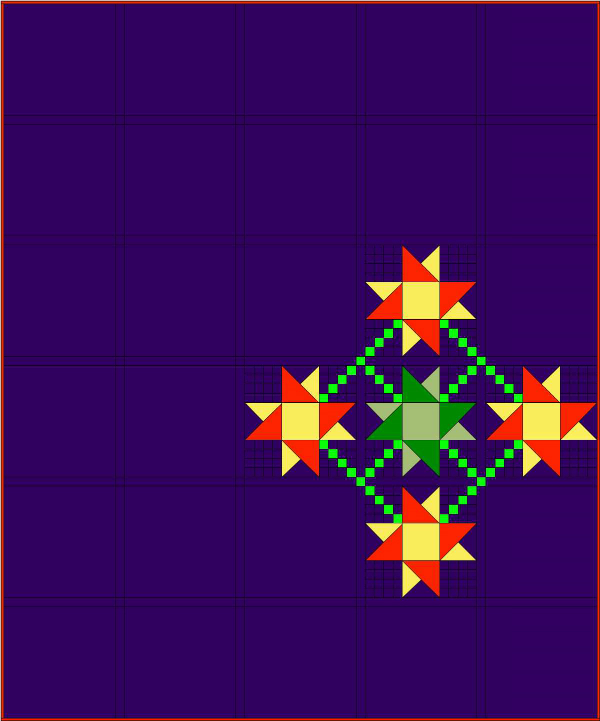 I wanted to play with an Irish Chain-like design and Asymmetrical Stars is the result. I love the dark background and the asymmetrical setting. 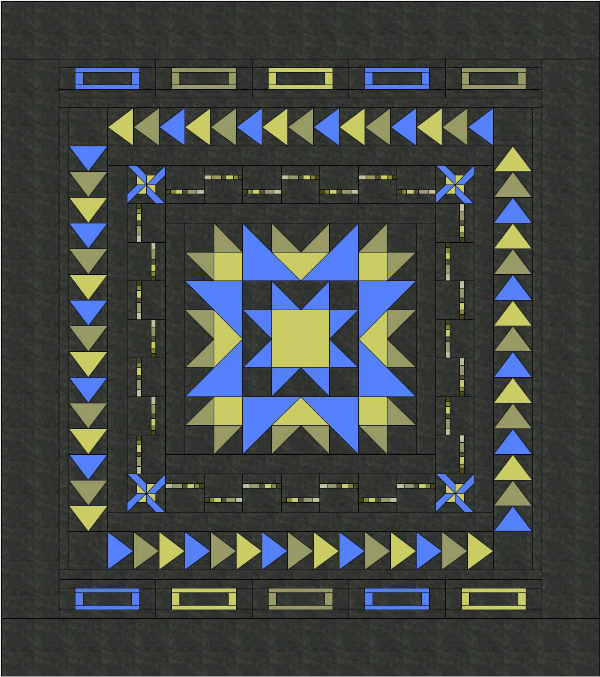 You'll have to use your imagination a little for this design 😊 I wanted those big stripes dividing the quilt, but I couldn't figure out how to make EQ7 let me draw it. 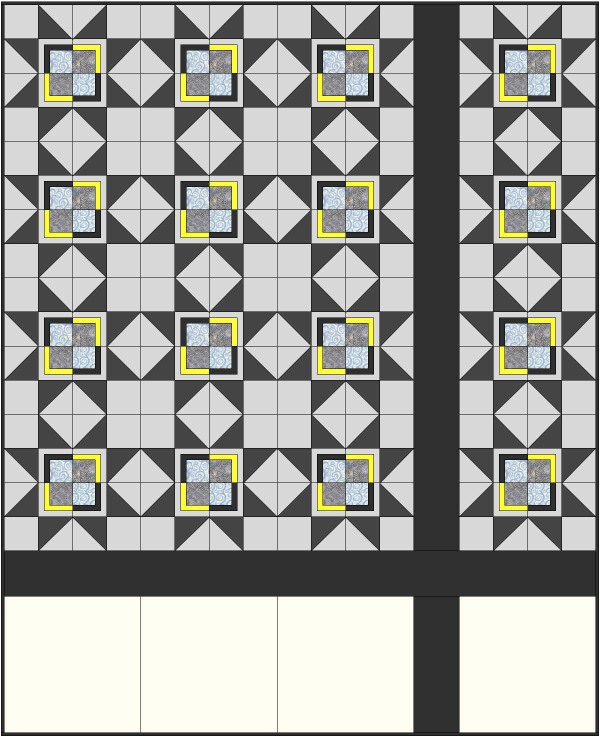 I ended up drawing the bottom row as a block, but then the program wouldn't let me put blocks in those squares. So, just pretend all of those blank squares have stars too, okay? 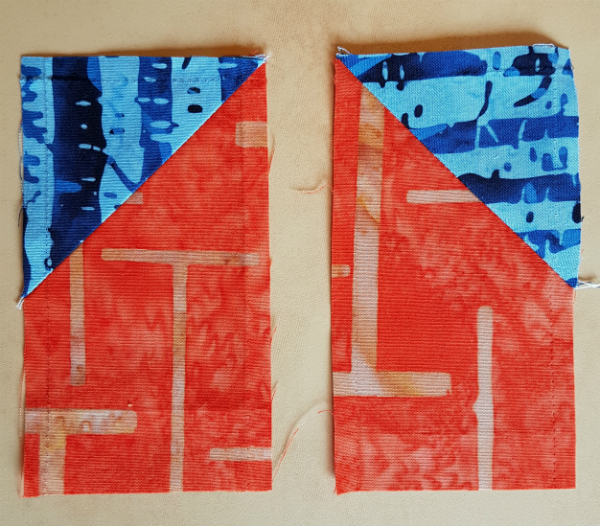 I'm calling this one Scraps Squared and it is definitely on the to-make list. 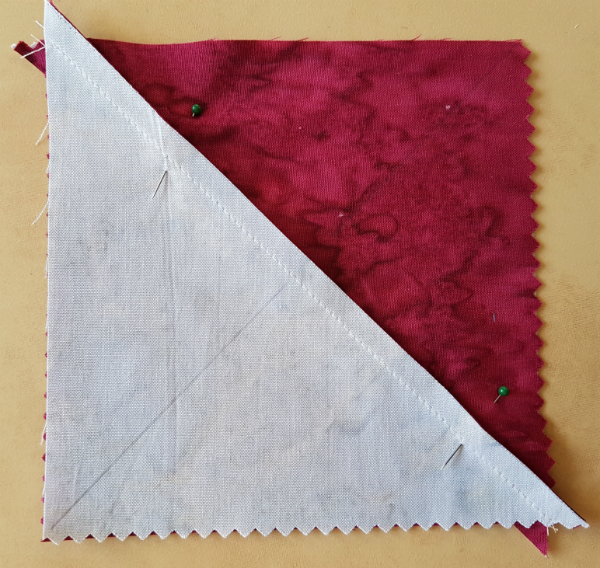 Actually, I've been making single-colour 4 patches as leaders and enders for quite a while so I have more than I need to make this quilt. I just need to get some black and I could start assembling blocks as leaders and enders. 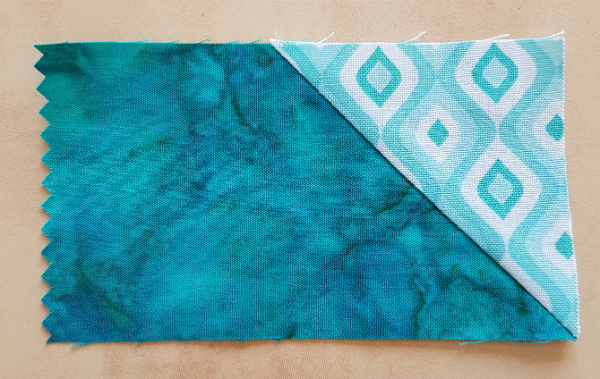 I've already pulled fabric for one design from the challenge and I have another one about half pieced (and I looooove it!). There will be more information about them soon 😊 Secret sewing is hard, but if you want little sneak peeks you can follow me on Instagram - I'm @devotedquilter and I share lots of peeks at what I'm working on. 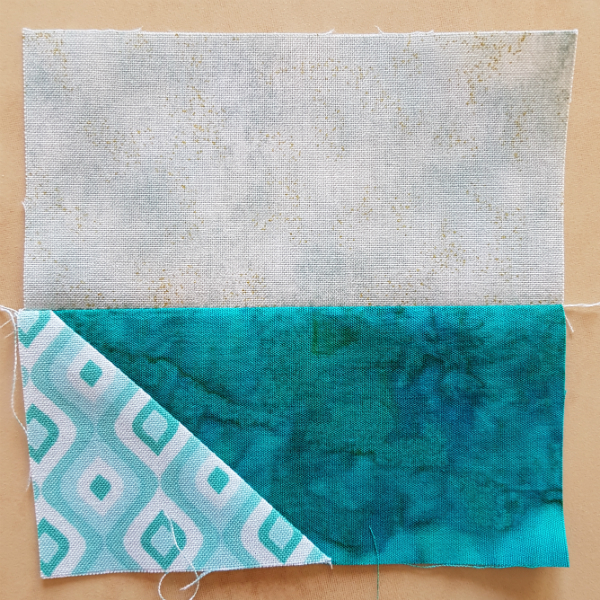 Well, thanks to these two design challenges, I now have more quilts I want to make than I'll ever have time for, but I'm sure having fun trying to make them all! Confession time...I am a lot more open about talking about God here on the blog than I am in real life. I'm not sure why. I think it has something to do with feeling like if people aren't interested in reading a devotion they can just skip it, where that's not so easy to do in a conversation. I don't want to make people feel uncomfortable, or like they have to listen to 'religious' talk if they don't want to. I am not a bold person in general. I hate anything that even hints of conflict and will try very hard to avoid it, even when it would be better to speak up. Sometimes I feel like talking about what I believe might create a conflict and so I just stay quiet. And then I read something like this: "Now, Lord, consider their threats and enable your servants to speak your word with great boldness. Stretch out your hand to heal and perform signs and wonders through the name of your holy servant Jesus" (Acts 4:29,30). A little context is needed here...Peter and John had been arrested by the religious leaders for teaching about Jesus. While in front of these angry and powerful men, Peter again proclaimed the truth about Jesus. The leaders didn't know what to do next. They felt they couldn't harm Peter and John because the people loved them, but they needed to stop them from teaching about Jesus. Finally, "after further threats they let them go" (v. 21). Released, Peter and John told the other believers what had happened to them and then they all prayed together. And that's when they prayed "Now, Lord, consider their threats and enable your servants to speak your word with great boldness. Stretch out your hand to heal and perform signs and wonders through the name of your holy servant Jesus" (vv.29, 30). Consider their threats, they prayed. Makes sense, right? 'Lord, you heard what these men just threatened us with, didn't you?' Yeah, I can see me saying something like that. "Consider their threats and enable your servants to speak your word with great boldness." What? That's definitely not what I would say! My conflict-fearing heart would be cowering in the corner, trying to figure out a way to never draw the attention of those leaders again. But not Peter and John and the others. Consider their threats, but then give us boldness to continue speaking about Jesus anyway. And did you notice that they not only asked for boldness to speak for Him, but they also asked for God to perform signs and wonders through the name of Jesus? They weren't looking to quietly share about Jesus to a few people here and there. They were looking for miracles and healings that would draw attention to their work and their teaching. It was practically guaranteed that those signs and wonders they were asking for would be noticed by the religious leaders, who would arrest them again, or worse. But those signs and wonders would also be seen by the general public as proof that what they were teaching was truth, thereby helping the people to believe in Jesus as their Savior. It was all part of them speaking boldly, drawing attention to their life-changing message. Maybe my problem is that I've never asked for boldness. I've tried relying on my own power when it comes to talking about God, but obviously that isn't going to be enough. Maybe it's time I try being like Peter and John and asking God to make me bold. What about you? Do you speak freely about God or do you find yourself like me, staying quiet for fear of offending someone or making them uncomfortable? 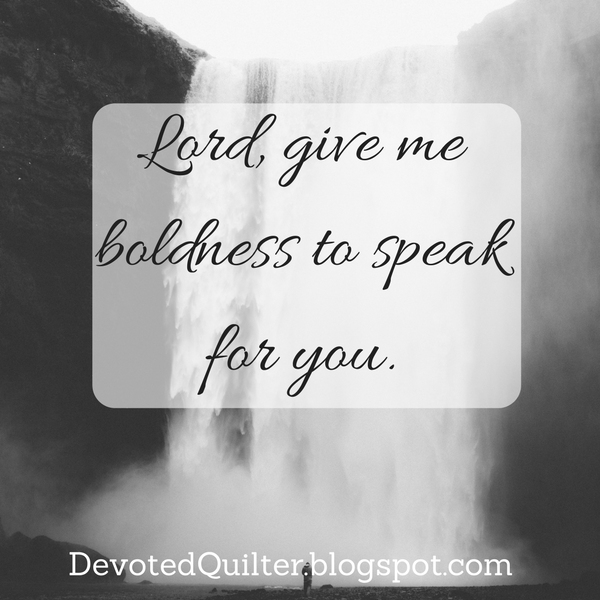 Will you join me in asking for boldness? Devoted Quilter is 4 today! I'm amazed that I've been blogging for a full 4 years now 😊 I wanted to do something to mark the day, so I thought about doing a giveaway, but that really only benefits one person (the winner) and I wanted something that would be for everyone. 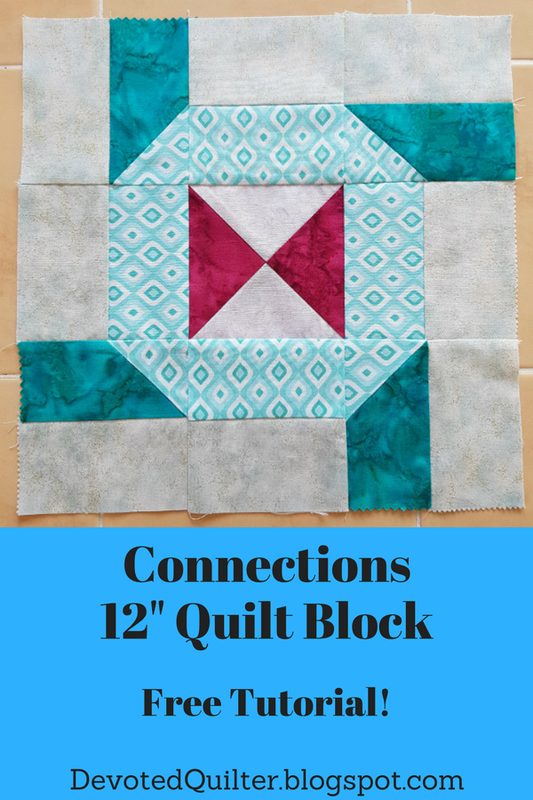 That's when I thought of doing a free block tutorial, because we all love new quilt blocks, right? I'm calling this block Connections. 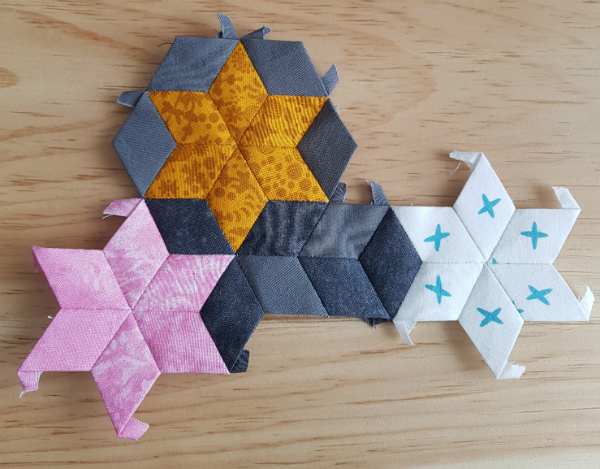 Partly because of the secondary pattern created when blocks are put together, but also because I wanted to create a block to celebrate the connections I've made with all of you through this blog, reading your blogs and through Instagram. 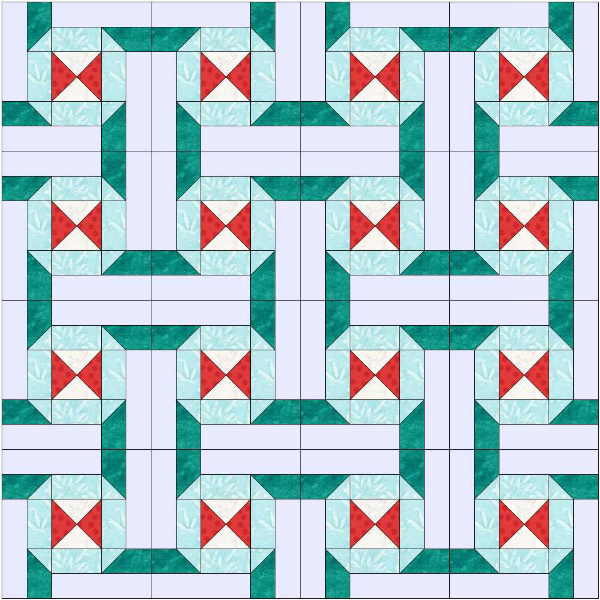 This online quilting community it awesome! Thank you for all of your support and encouragement these past four years. Your comments, especially, always make my day. 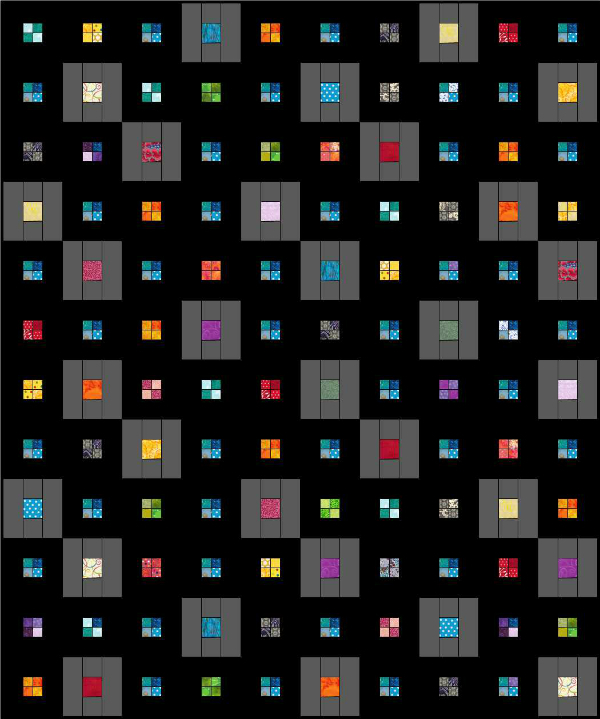 Here is what the block looks like when tiled together, flipping every other block. Don't you love those connections that form between the blocks? Background - 8 rectangles 2 1/2" x 4 1/2"
Dark Aqua - 4 rectangles 2 1/2" x 4 1/2"
Light Aqua - 4 rectangles 2 1/2" x 4 1/2"
- 4 squares 2 1/2" x 2 1/2"
** Note - the method we'll use to make the center hourglass block makes two at a time, so if you're making a quilt with this block you need 1 square of each colour for every 2 blocks you plan to make. 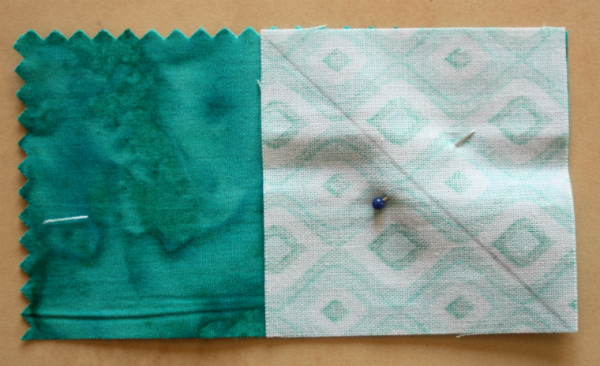 Draw a diagonal line from corner to corner on the back of all of the light aqua 2 1/2" squares. Pin the 2 1/2" square to one end of the dark aqua 2 1/2" x 4 1/2" rectangle as shown. 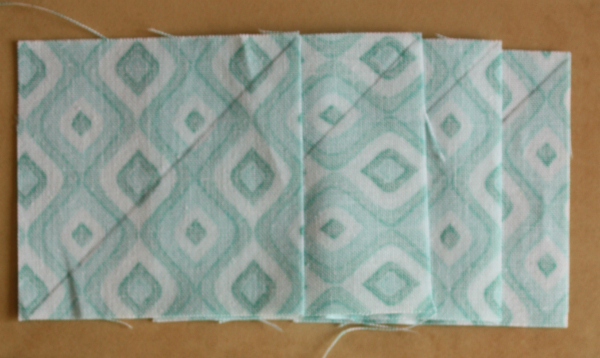 Stitch on the drawn line, then trim 1/4" away from the seam. Stitch a background 2 1/2" x 4 1/2" rectangle to the connector strip as shown. Make 4 connector units. 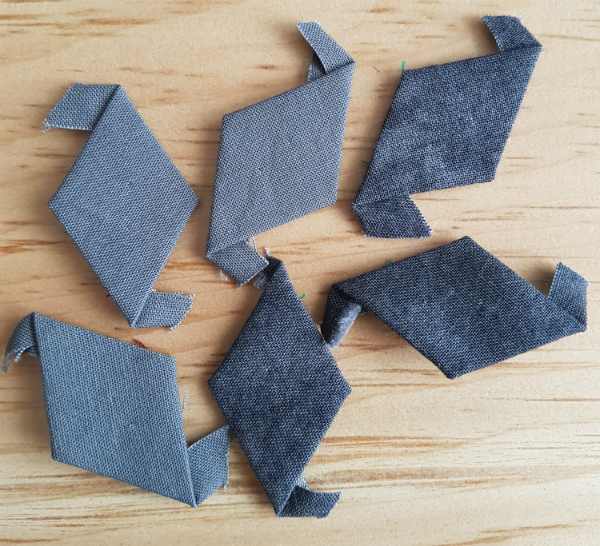 Note, to make a quilt where the blocks connect, you need to make half of your blocks with these connector units flipped. In this picture, the left connector unit is made as shown above and the one on the right is flipped. Make 4 matching connector units for each block. 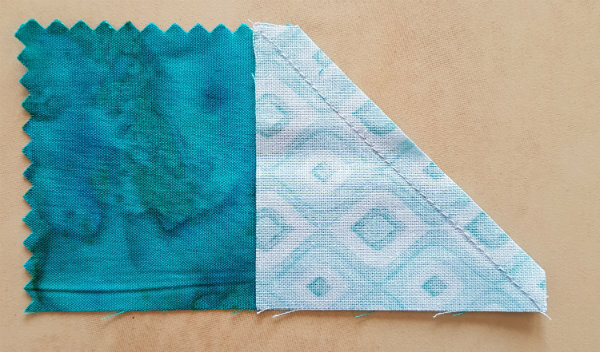 Stitch the remaining background 2 1/2" x 4 1/2" rectangles to the light aqua 2 1/2" x 4 1/2" rectangles as shown. Make 4 side units. 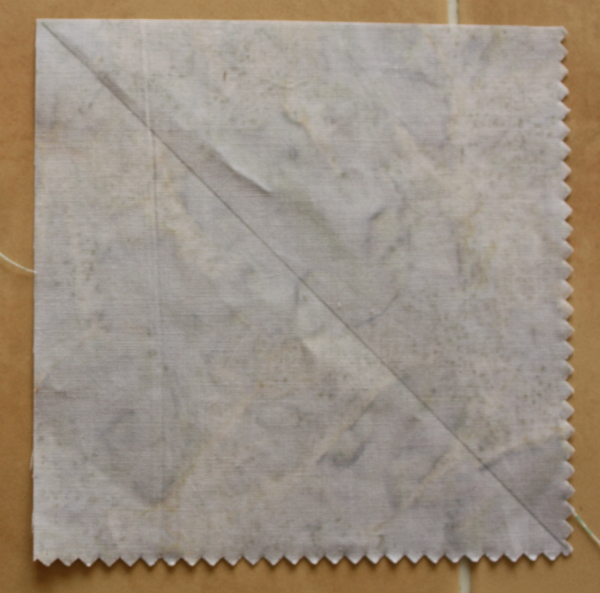 Draw a diagonal line from corner to corner on the back of the white 5 1/4" square. Pin the white and pink 5 1/4" squares together and stitch 1/4" away from the line on both sides. 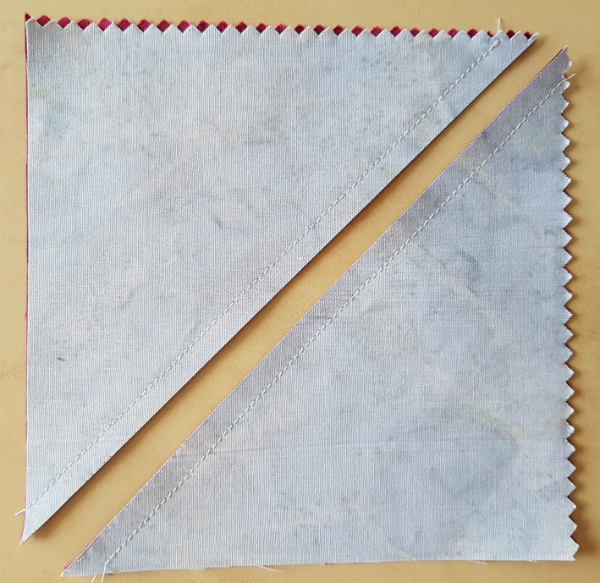 Cut apart on the drawn line to make two HSTs. Press open. On the back of one of the HSTs, draw a diagonal line from corner to corner, crossing the seam. 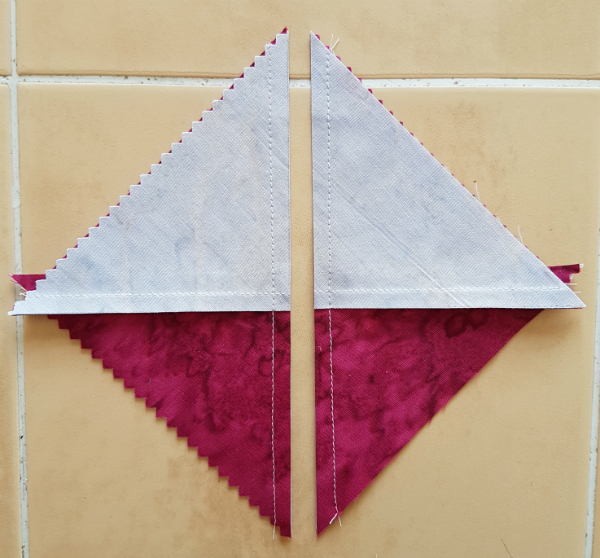 Pin the two HSTs together, alternating colours and nesting the seams. Stitch 1/4" away from the drawn line on both sides. Cut apart on the drawn line. 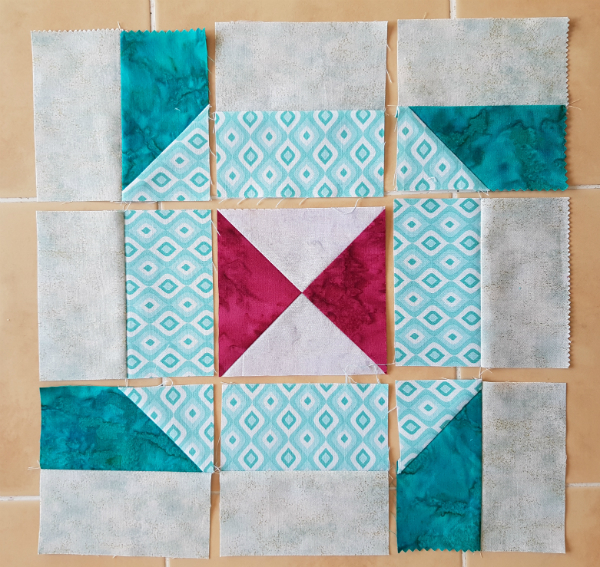 Press open and trim the hourglass block to 4 1/2" x 4 1/2". Arrange the units in 3 rows of 3 as shown, paying careful attention to the orientation of the units. Stitch the units into rows and then join the rows to complete the block and you're done! As always, if you make this block, I'd love to see it! Tag me on Instagram (@devotedquilter) or Facebook (@devotedquilterdesigns) or send me an email (devotedquilter at gmail dot com). Here's to many more years of quilting together!